Sunny, well equipped, cozy cabin with views over beautiful nature and lake! Unique sun-conditions, 6 (8) beds, beach / dock, dishwasher, washing machine, WiFi. Unikly sunny, where you can sunbathe in shorts already in February / March! Newly renovated and upgraded cabin with toilet, shower, diswasher, washing machine, big air conditioning / heat pump, hot tub on the deck, big hammock with panoramic views, stereo, parking, beach / dock, sunbathing, swimming, floating on the Included air mattresses, fishing, hiking, weird ravine landscape, peaceful, wildlife. Three sailing catamarans for rent: 20 "Maerstrom Tornado (Olympic class boat), HobieCat 18", SeaRider 360 12 "
Corvette 1977 upgraded with 383 Stroker, Roller, Vortec engine. Meanderin river canoeing with several canoes is included in the cabin rent (30 mins away). Local indoor / outdoor bird-watching tower. The local fort with viewpoint tower. Askim Kulturhus with high quality cultural performances several nights a week. Tertites, an old narrow-track steam train. Tusenfryd, Norway's largest amusement park! Töcksfors, Sweeden, with nice restaurants and big shopping centers. Oslo! With Frognerparken sculpture park, Aker Brygge, The Opera, Holmenkollen and much more! I would recommend dining / lunch at Frognerseteren! It is near Holmenkollen on the outskirts and high above the city center. The buildings are amazing and grand with an outstanding view! Kolsåstoppen, fairly short and steep hike up to a mountaintop with a spectacular view over the Oslo fjord and arpelaggio. Den enkleste måten med endnu mer fantastisk utsikt er at gå på slopes på tiny ski center på Borgen i Asker. Drøbak, a cozy costal town with nice dining and a sandy beach by the city center. Merk at jeg ikke tar reservasjoner under 500 €. Nice bathroom with numbers cabinet behind the open door, toilet, two of wire shelves racks behind the curtains, nice shower, sink with cabinets above and underneath, washing machine and hot water boiler. Toilet paper, rags, detergents and bucets. - EACH SAFARI with money back guarantee! 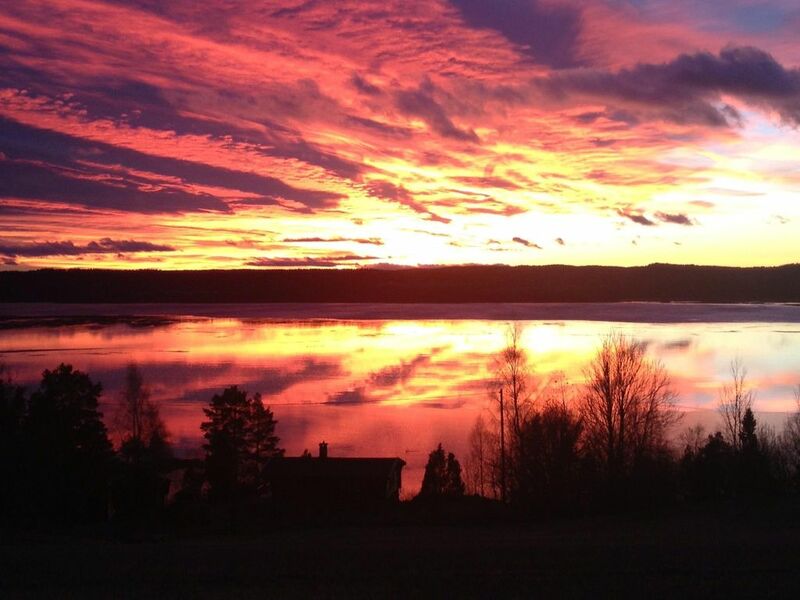 15 mins from the cabin +47 417 65 672 http: // olberg. com / camping / elk / http: // olberg. com / contact / directions / - CANOE AND KAYAK rental in the lake at the north end 30 minutes from the cabin. It is in northern Europe's largest inland delta and with many natural reserves with 260 registered species of birds and 25 species of fish, which is the record in the whole of northern Europe. This is also right at Fetsund Lensemuseum with nice walks on land and on water (! ), with a restaurant and a small, but very nice beach. Booking: Phone: 92053912 (Peter) or 40288716 (Vera) http: // www. paddles. com / - SANDSTANGEN beautiful beaces. One of my favorite places! It is a historic spot with long stretches facing north, south and west. If you walk down the most southern beach, it ends up in a long, beautiful walking path in the nature along the water. You can get hot dogs, ice cream, waffles, coffee, beer etc. It is very calming and soothing there. Stugan ligger precis intill vattnet och är omringad av grönska. Otroligt mysig känsla inomhus, bra kök med allt man behöver. Fräsch toalett med dusch. Perfekt för antingen ett sällskap på 6st eller en hel familj. Hyresvärden är väldigt hjälpsam och trevlig. Hit ska vi åka igen! Im Spätsommer waren wir in Norwegen und unter anderem für eine Woche hier. Es war richtig gut! Ein tolles, abgelegenes Haus. Mit Kamin und einer schönen, gemütlichen Küche. Zwischen Wald und Feldern hat man einen sehr idyllischen Seeblick und Ruhe ohne Ende. Wir konnten sehr gut entpannen. Und als wir Großstadtflair brauchten, sind wir nach Oslo gefahren (ne Stunde mit dem Auto). Die Vermietung war absolut unkomplitiert und einfach. It was awesome to have you here! It was very nice meeting you both. We had good communication and you cleaned very well before departure. I can definetely recommend you to other hosts. The deposit will be returned/transferred as soon as possible after I have inspected the cabin. Usually I am able to do this quickly, but I cannot guarantee that I am always in Norway and available! But I will transfer the deposit no later than 15 days opon your departure. My bank is the lowest on fees in Norway, but on international transfers the bank might deduct a fee from your deposit. In the cases where I am able to meet you in person both on arrival and on departure, we can also have the deposit in cash.